Semra is a licensed real estate agent and an accredited auctioneer. Semra has been in sales in Auburn for 16 years, she is a highly regarded lady in this community. She has helped many organisations and is very involved in the rich diverse community events. Semra has become a brand in this area and is extremely well known that stands alone in its delivery of outstanding results through integrity and customer service. Her expert knowledge in the property market along with her passion and motivation makes her a success and she had received numerous awards. 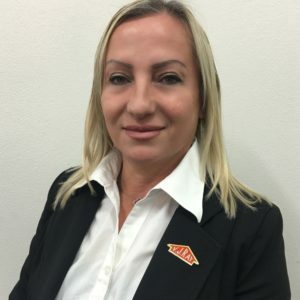 Semra has become a property expert with a wealth of real estate knowledge, her deep level of understanding of the sales and marketing process, ensures clients will achieve the highest possible price for their property. She has sold hundreds of properties during her career, including the upper and lower end of the market, she has sold properties during boom and bust. Her point of difference are her incredible energy levels, her personality and her capability to think outside the square along with her ability to continually negotiate the highest price in the shortest amount of time.